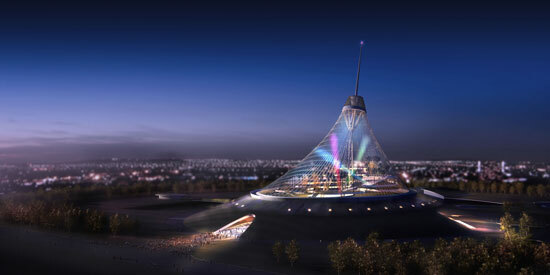 Designed by the British architects Foster & Partners, the Khan Shatyr Entertainment Centre in the capital Astana is 150m (490ft) high. It opens on the day the city celebrates 13 years as the capital and President Nursultan Nazarbayev his 70th birthday. The centre has a huge indoor leisure park, designed to be protected from the region's harsh climate. Standing on a 200m concrete base, Khan Shatyr is the city's highest structure and the world's tallest tent. 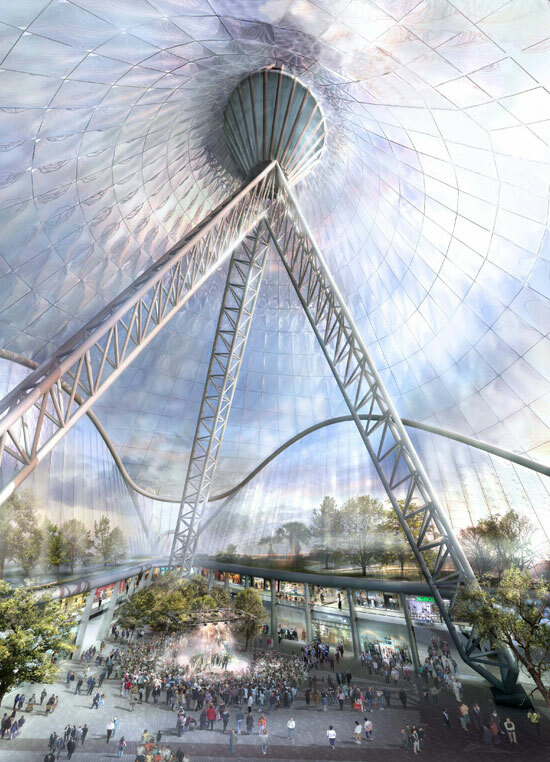 Inside, visitors will find shops, restaurants and cinemas - even an artificial beach and a running track.